Taku River/T’akú Téix’ Conservancy was established as a result of the Wóoshtin Wudidaa Atlin Taku Land Use Plan and Taku River Tlingit First Nation Strategic Engagement Agreement. 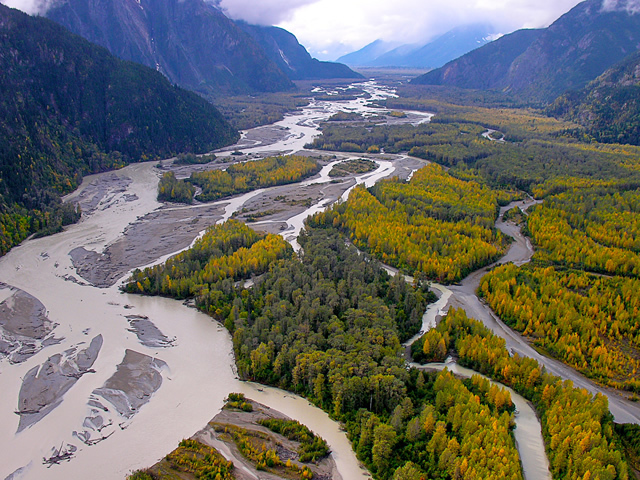 This conservancy encompasses the BC portion of the Taku River main stem from the Alaska border to the confluence of the Nakina and Inklin Rivers. The Taku River Tlingit First Nation has a deep and significant cultural attachment to the Taku River, reflecting a long history of use, occupation and spiritual connection. The Tlingit name (T’akú Téix’) means “Heart of the Taku”. The conservancy is located approximately 65 kilometres south of Atlin.